Special guest in Clark Terry's concert, The lovely swinging, Vivian says the swedish media about the newcoming jazzsinger Vivian Buczek. Vivian has performed with some of the top international jazz artists such as the legendary trumpet player Clark Terry, Scot Hamilton (ts), Harry Allen(ts) as well as Swedish jazz artists like Putte Wickman (cl), Jan Allan (tp), Svante Thuresson (voc), Claes Crona (p), Jan Lundgren(p), Magnus Lindgren (ts, fl, cl) Rigmor Gustafsson (voc), Viktoria Tolstoy (voc), the Danish saxofon player Jesper Thilo and the world known opera singer Barbara Hendricks. Vivian is born In Malmö and graduated from Malmoe Academy of Music in 2003. Already during her studies, she started performing on different festivals and clubs in Sweden. Most importantly she made success in Poland were she's got her roots. In 2003, she made her first album Can't we be friend's? with musicians known as legends in Polish jazz society. The album reached Japan and was listed among the 16 best female jazz album among world known singers for example Stacey Kent. 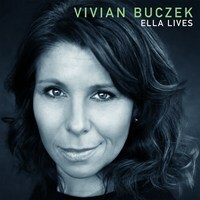 Vivian also participates on the Rendez Vous On The Jazz Boulevard Collection together with female jazz vocalists such as Ella Fitzgerald, Eva Cassidy, Stacey Kent and many more.
. The listeners could hear different interpretations of his work performed by European musicians such as the French piano player Michel Petrucciani, the Dutch guitar player Philip van Endert and Vivian Buczek singing the lovely composition Very Early Her new CD Straight From My Heart is now beeing realesed, recorded with one of the top jazzmusicians in Scandinavia, Claes Crona Jesper Thilo, Mattias Hjort, Zoltan Csörsz and Elias Källvik! All About Jazz musician pages are maintained by musicians, publicists and trusted members like you. Interested? 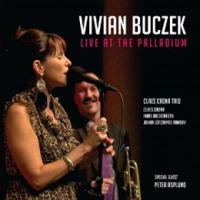 Tell us why you would like to improve the Vivian Buczek musician page.